I don't get to cook for J very often since I work full time. I am grateful to both my mother and mother-in-law for helping to prepare J's after-school meals everyday which is usually rice with soup and fish or pork porridge. So come weekends, while we eat out quite often, I try to cook at least 2 meals for him, even if it means to pack his food along with us. J is a big eater. However, he seems to like his soups and rice a lot. Fruits are also a favourite. He eats fast food at times but doesn't fancy them. That's actually good news for us as we don't really have a problem with getting him to eat healthily. That also means I often run out of ideas on what to cook for him. Hence when I need some inspiration to whip up something tasty for the boy, I will scour the web for recipes. Often enough, I find myself on Annabel Karmel's website, and have been using and adapting her recipes to prepare J's meals since he started on solids. 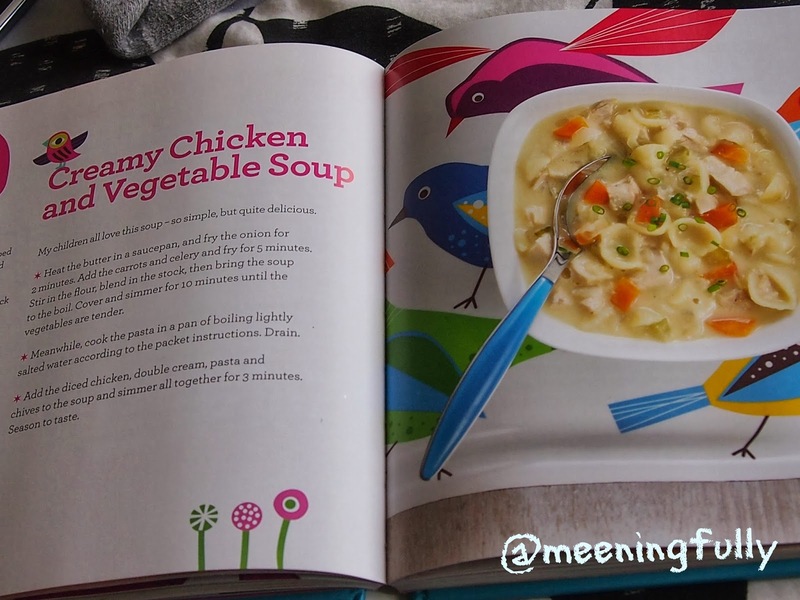 Last week, I adapted a chicken vegetable soup recipe from Annabel Karmel's "Quick & Easy Toddler Recipes"
Ok ok... i know my soup looks far from what the book has. But I assure you it tastes yummy! J slurped it till the last drop although he did not quite like the onions I threw in. Quite like me I must say. The recipes in the book are all easy to prepare, and more importantly has recipes that allow freezing too. This means I can cook them in batches, freeze them and take them out when I am running out of time to get meals served up to J and also the man. 30 to 50 grams of cooked chicken leg, thinly sliced (remove skin and fats. I chose chicken leg because it is more tender and easier for J to bite and swallow). 30 to 50 grams of carrots, diced. I used a slow cooker for this recipe, hence what I did was to throw in all ingredients except the chicken and milk , and cook till the vegetables well done. Add in the chicken and milk 5 to 10 minutes before serving. No cream was used as the only packet I had in my kitchen has already expired. J had this soup with rice and steamed salmon. My hearty balanced meal for the growing toddler. Thanks to "Quick & Easy Toddler Recipes"
And since the book has lots of easy to prepare meals to try, it helps to cut down the time for busy mommas like me to research on recipes online. So, I am sharing the joy with all of you with a GIVEAWAY of not one but TWO Annabel Karmel's "Quick & Easy Toddler Recipes". 2) It will also be nice if you could like our Facebook page. This giveaway contest will be open from today 12 March 2014 to 1159 hr on 26 March 2014. Winners will be announced on www.facebook.com/meeningfully on 27 March 2014. 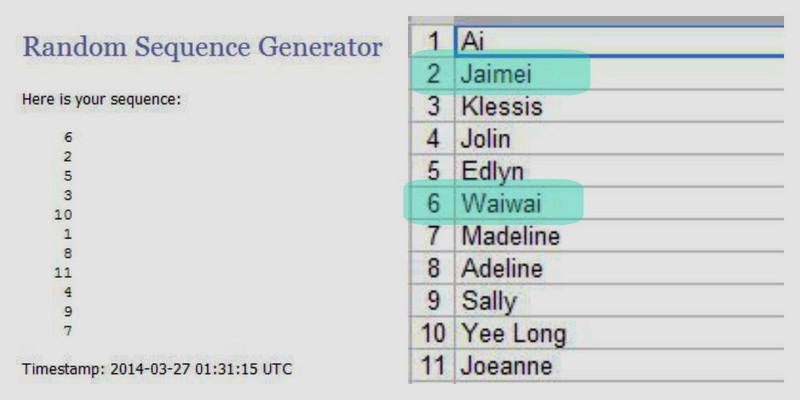 Congratulations to Wai Wai and Jaimei! 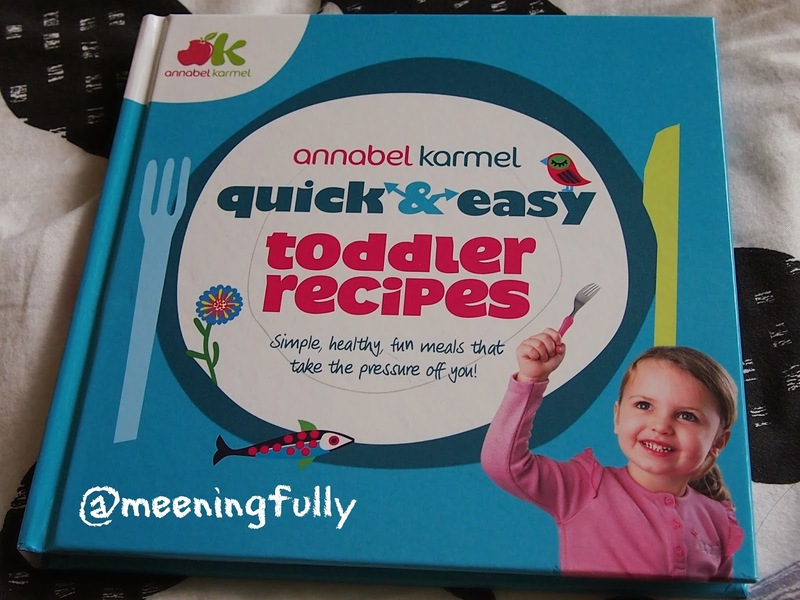 You have each won an Annabel Karmel's " Quick & Easy Toddler Recipes". I will be in contact soon on how to collect your gift!